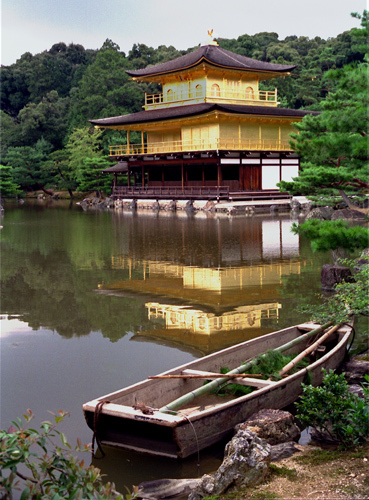 This image shows the tranquil Kinkakuji (or the Golden Pavilion). It is a Zen Temple found in Kyoto, Japan. It was a residence for a retired shogun and after his death it was converted to a Zen Temple in 1408. The building is ornately covered in gold leaf and holds sacred relics of Buddha.